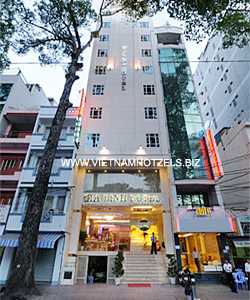 Gia Linh Hotel has 3 stars standard with 56 Brand new guest rooms and put into the operation in 4/2009. Located on the Bui Thi Xuan Street – Distric 1, Gia Linh hotel is the center for commerce and tourist industry. It takes you about 5 minutes to Ben Thanh market and 20 minutes to the Tan Son Nhat International Airport by taxi. With an experienced team and professional services, we believe that you feel satisfied, comfortable during your stay at our hotel. Our slogan is: Come and Enjoy...! Enjoy unforgettable moments Breakfast, Lunch and Dinning in our restaurants or conversing in our delightful bar. Whether you prefer a light snack or full meal, you will find a tempting choice of both Asian and Western cuisine to suit both taste and mood.